The Slabmat™ is a durable product designed for dry areas where heavy industrial equipment is stored. It is also suitable for gyms, weight rooms, skating rinks, golf courses, trailers and stables. 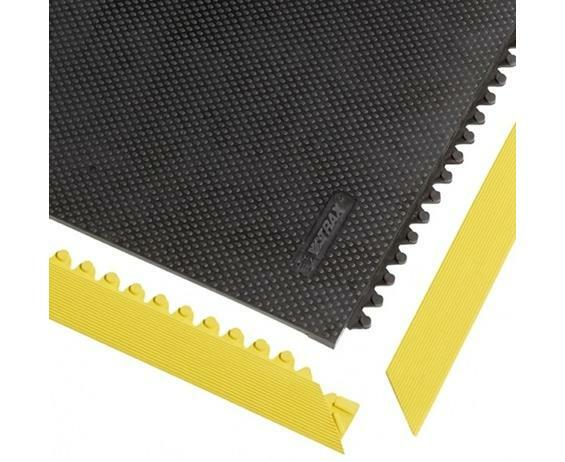 This indestructible rubber mat absorbs shock from falling objects and protects floors as well as equipment. 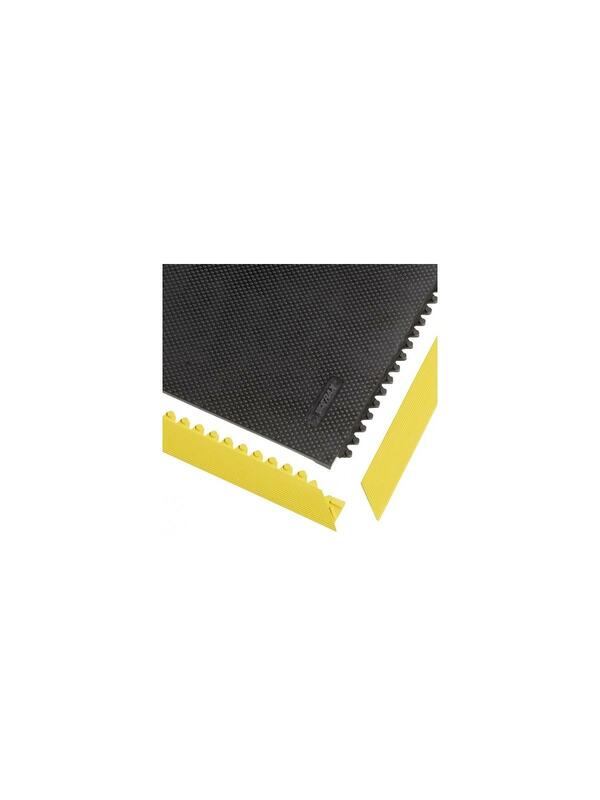 The textured top surface provides traction and limits slip hazards. These interlocking mats allow on-site customization. Units can be easily laid out from wall to wall or as islands, in any shape or direction. Male and Female Slabmat™ Safety Ramps are available in Black and Yellow. They create a smart beveling solution that minimizes trip hazards. When adding bevels be sure to allow for an outside and inside corner. FOB Shipping Point.